These Patrick Henry Quotations are from his own letters and speeches. Henry was one of the great orators of the Revolutionary War. Learn from him by reading his own words. 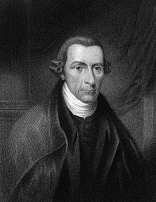 These Patrick Henry Quotations are listed chronologically with links to more at the bottom. Want more? You got it! More Patrick Henry . 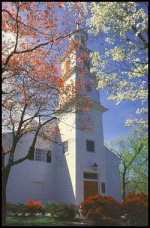 . .
St. John's Episcopal Church, Richmond, VA was the church where Patrick Henry was a member. The church hosted the delegates of the Provincial Virginia Assembly and was the location of Patrick Henry's "Give Me Liberty or Give Me Death" speech. It is still an active church today. Go to the church's website here for historical and current information. Red Hill is the last home of Patrick Henry. You can visit the historic site today and see his last law office, a replica of his home and lots of Patrick Henry memorabilia. Go to the Red Hill website here.